Thomas Huber (GER). Thomas was born in Villingen, Black Forest, in 1968. 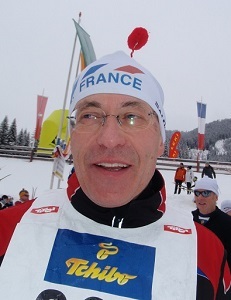 He began XC skiing at the age of 15; his first long distance race was the 60 km Black Forest Marathon in 1986. Thomas likes to combine holidays with XC skiing, to meet nature, cultures and people. He has skied more than 300 XC races in 19 countries and reached placements in the top ten in Transju CT and Gatineau CT. In summer Thomas practices mountain biking, including races like the Transalp with 20 km of climbs on a distance of 700 km. Thomas is in the executive committee of the Villingen ski club and organizes trips to races for friends. Thomas is four-fold WL Master and Euroloppet Master. He speaks German and English. Thomas can be reached at thomas@worldloppetskier.com. Boris Petroff (FRA). Boris was born in Paris in 1949. He stopped smoking and began cross country skiing at the age of 28, inspired by a film on this sport. Boris’ first XC ski race was two years later in 1979. In 1980 he skied the first Transjurassienne. Boris was journalist and decided to create a magazine devoted to XC skiing. Bad idea: a good magazine but no business!! And he entered the administration, he is now responsible for sustainable development and democracy in a big area (1.3 million people) near Paris. Boris is 7 x WL Master (and his wife twice: they are the Royal Couple) and covets to be the first French skier to enter the Veteran club in Vasaloppet (that requires 30 participations). Boris speaks a little Russian, English and German, and perfect French! He is the both Secretary and Treasurer of IAWLS. Boris can be reached at boris@worldloppetskier.com. 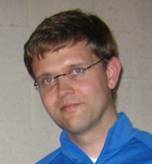 Lars Vagle (NOR) was born in Sandnes in 1973. He was educated to a Master of Science in computer science and works with software. Lars has been skiing as long as he has been able to walk. He has a cabin in the Norwegian mountains, is the race manager of a local skimarathon and travels abroad as much as possible. Lars likes traveling and to arrange group trips to WL races for fellow Norwegians. Before entering the Executive Committee in January 2007, Lars had already given important contributions to the Executive Committee’s work, thanks to his computer skills. He is the main web editor and the President of IAWLS. Lars can be reached at lars@worldloppetskier.com.